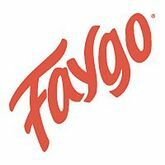 Faygo Beverages Inc was founded in the year 1907 by Perry and Ben Feigenson when they opened the Feigenson Brothers Works. At that time, the company offered beverages and their original flavors were fruit punch, strawberry and grape which were based on their cake frosting recipes. Faygo Beverages Inc has grown tremendously since then and some of the recipes it now offers include meat, poultry pasta, beans, vegetarian, salads, baked goods and soups. Faygo Beverages Inc has approximately $ 600 million shillings in revenue and it employs around 1,200 employees. The company's corporate offices are located at Detroit, Michigan. There are currently 0 consumer reviews about Faygo Beverages, Inc available. Share your review. Please take a note that you are about to post a public review about Faygo Beverages, Inc corporate office on CorporateOffice.com. This review will be public, so please do not post any of your personal information on this website. If you would like to contact the corporate offices of Faygo Beverages, Inc, please use their contact information such as their phone number, website, and address listed above to contact them. However, sometimes staff from Faygo Beverages, Inc headquarters do read the reviews on this website.